“The Metropolitan Police Service are proud to be a partner of Met-Track - a project that has been changing the lives of vulnerable young Londoners over many years now. ​The official launch of Met-Track as an independent charity was a huge success at City Hall London. Lord Sebastian Coe and the Metropolitan Police Commissioner headed a distinguished delegate list. Included in the audience were also young people from the project's Hammersmith scheme at the TLG school - all made emotional confessions on how Met-Track had altered their lives for the good and how impactive coach Josh Swaray had been. A presentation led by CEO John Powell MBE outlined the history of the project, what it achieves, and headlined the phenomenal rate of over 95% of young people engaged with the project now not offending or reoffending. He also was emphatic that "the clock is ticking" and that the project urgently needs funding to supplement the slowly reducing BIG Lottery Fund money before 2020 or the project could close. ​Met-Track Scheme Director, John Powell, has been included in the annual London Borough of Bromley Mayor's Honours Awards for his wide-ranging voluntary work, including his role in this project. Having been notified of the honour last month, he attended a ceremony at the Bromley Civic Centre on Thursday 15th March, and was presented with the honour by Mayor Councillor Kathy Bance MBE. 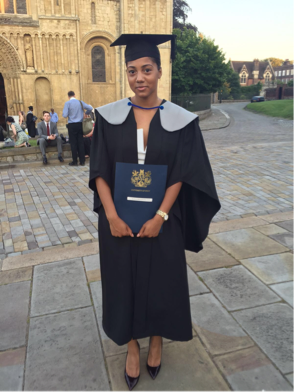 Met-Track takes great pride in offering first class sports coaching and mentoring by some of Britain's best as excellent role models for young Londoners, and the involvement of two coaching staff in the recent Winter Olympics was a classic example. Although not involved in the medals, Met-Track coaches Montell Douglas and Greg Cackett both represented Team GB in Pyeongchang, South Korea. They were both involved in Great Britain's bobsleigh teams, using their strength and speed inherited as experienced track athletes over past years. The TSG team came to visit the Hammersmith Safe Camp where Met-Track have been delivering sessions form 10am-4pm throughout August. The young people at the SAFE camp were given the opportunity to partake in various role-play scenarios and try out what it's like to be a member of this division of the police. The pupils at Nightingale Community Academy had an afternoon of workshops and scenario role plays delivered by the Territorial Support Group (TSG). These were delivered to break down the preconceived perceptions of the work the Police do and why they do it. 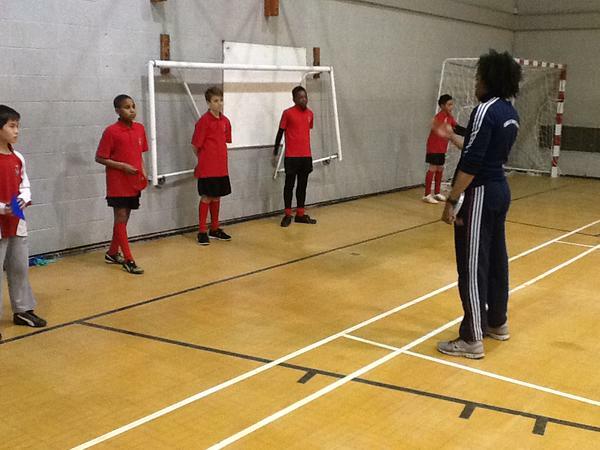 Over the May/June half-term Met-Track alongside Access Sport, Let Me Play, London Sports Trust and QPR delivered sessions at Phoenix High School as part of the Safe Camp run by Hammersmith Police. 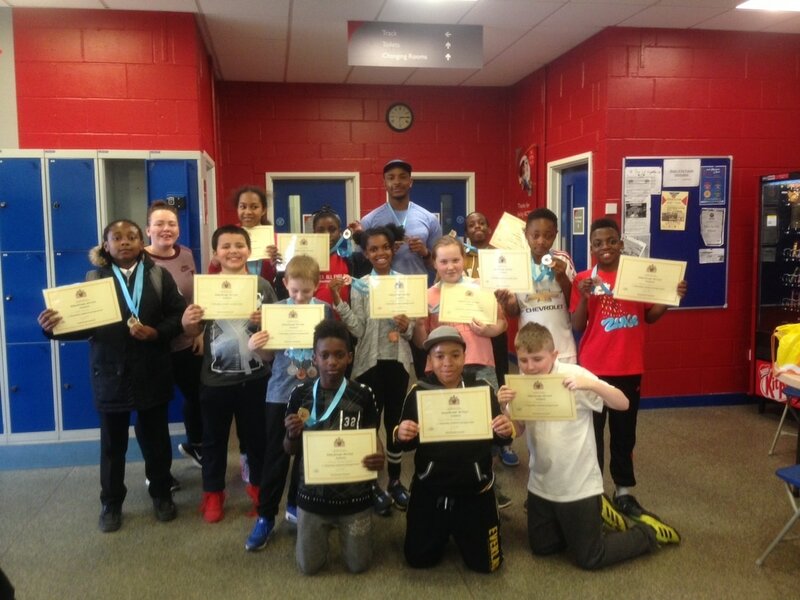 The young people taking part got to experience a variety of sports including Athletics, Basketball, Bmx riding, Kayaking, Football and Trampoline gymnastics amongst other activities. 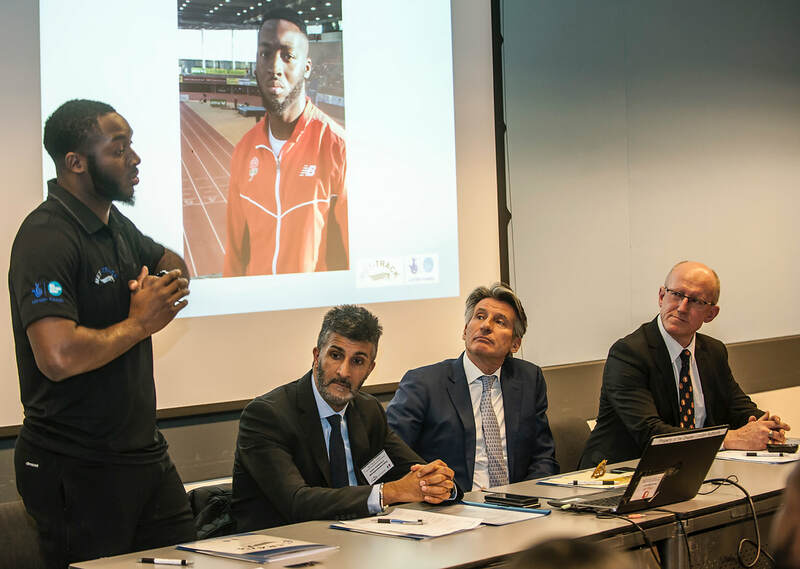 Participants from Met-Track sessions all over London have been inspired to start competing in athletics after learning from their coaches and mentors. The journey that the coaches have been through is relatable to so many of the young people who take part in the sessions which is one of the reasons why Met-Track has been so successful for over 10 years. 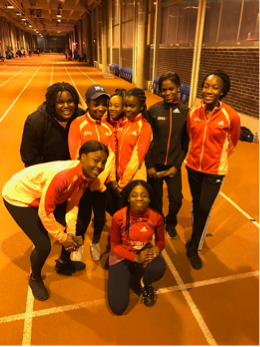 Met-Track participants from St. Catherine's Catholic School for Girls took part in their first athletics competition on Wednesday 18th January. 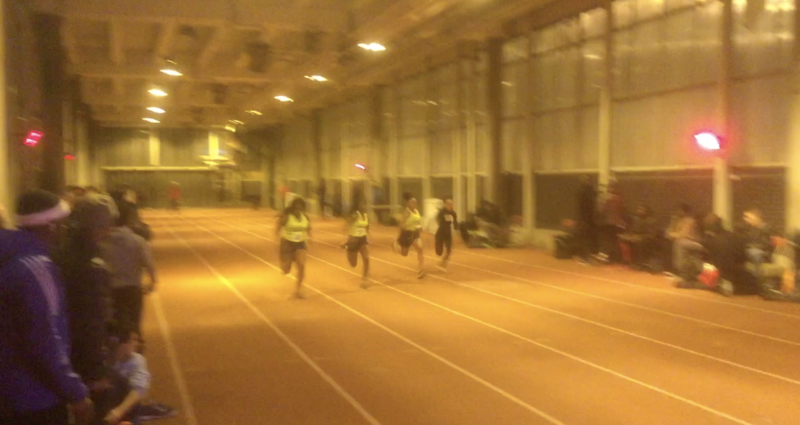 They competed in the 60m at the Crystal Palace Open against athletes of clubs from all over London, the girls performances were impressive an especially considering they had never been in a racing environment like this before. Met-Track's new lease of life for the coming four years has hit the ground running in the new year with the inaugural meeting of its Executive Board at City Hall, London on Monday (9th January). This was then followed by a coaches conference hosted by lead partner, the Metropolitan Police Service, in Charing Cross Police Station yesterday (Wednesday 11th). 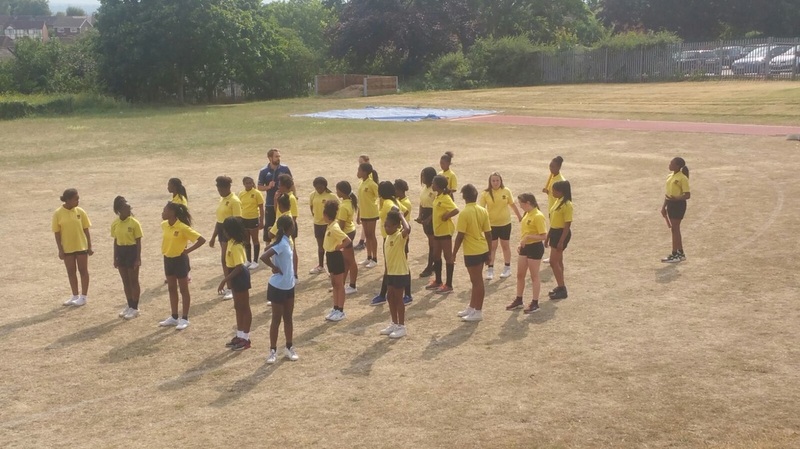 Met-Track coach Josh Swaray has been delivering sessions at the TLG Hammersmith Centre since the beginning of this academic year. 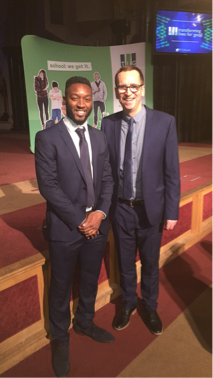 The school and the pupils have taken to Josh responding well to his sessions and mentoring advice, as a result of this he was invited as a special guest to the TLG group awards night on Thursday 24th November. As 2016 nears its end, Met-Track is in the process of moving into a new dimension, with a new management structure, and new partnerships set to drive the project into 2017 and beyond. One of the most successful youth diversion schemes in the country now, Met-Track’s new lease of life thanks to the BIG Lottery Fund’s new grant, which runs until 2020, will see its new Executive board meet early in the New Year, along with a revamped Performance Review Group. Met-Track Scheme Director and Founder, John Powell MBE, returned this week to the very source of the inspiration that had him devise Met-Track back in 2005 as a then London Police Superintendent. 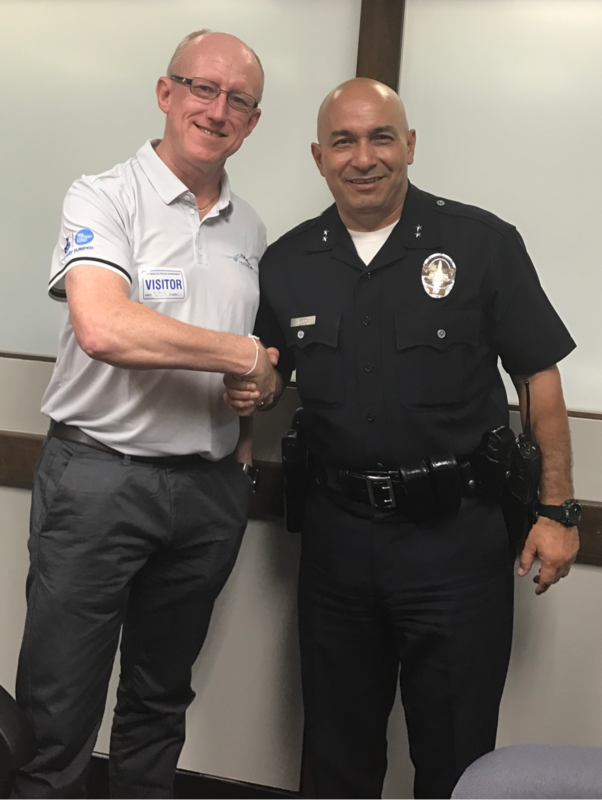 He met with officers of the Los Angeles Police Department in Downtown LA, who currently champion their Juvenile Impact Programme (JIP) - the scheme that John used as the initial template for Met-Track. Although a very different format to the London project, he emerged from the meting all smiles with several ideas to bring back for potential implementation at home. ​"It was a really productive meeting," said John. "Our schemes are very different in format, but identical in terms of what we want to achieve, and many of the principles on which JIP operates illustrate common ground with Met-Track. ​As Met-Track nervously awaits the verdict from the BIG Lottery Fund as to whether they have successfully been granted a further four years' funding, the project was awarded another accolade by a third party organisation. 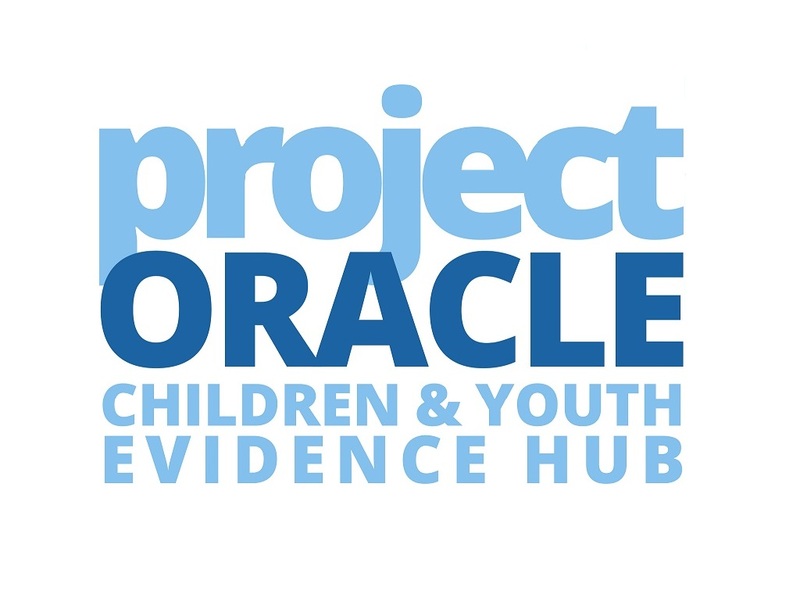 Project Oracle is London’s first children and youth evidence hub, managed by The Social Innovation Partnership and London Metropolitan University. Having completed various assessments relating to the work Met-Track has been conducting across London, Project Oracle has awarded the scheme with their level 1 certification. With very few projects receiving certification, it is a notably achievement for the project to receive recognition for the work it delivers around the capital. With constant reminders of the ever present threat of terrorism these days, the value of schemes that prevent more young people falling victim to radicalisation cannot be over-stated. This is the main thread behind Met-Track's aspiration to expand its target age group from September 2016. The time is fast approaching when the project will be told whether it has successfully secured a further four years of funding. If the outcome is positive, then the historic 10-17 target age bracket will expand to 7 to 21. Met-Track has launched its “Vision 2020” with an application to the BIG Lottery Fund that Scheme Director and Founder, John Powell MBE, hopes will catapult the scheme into another four years of rip-roaring success! With Met-Track now in its eleventh year, it is hoped that the application made to the BIG Lottery Fund for a further four years’ support will be successful, and see its vision of entering a third decade realised. As a mere ten-year-old South Londoner, Dwayne Grant found at an early age just how inspiring athletics could be. It wasn't until many years later that he began transferring his experience into coaching with Met-Track, which finally set him off towards a career and a future he would not have dared dream about as an adolescent. As an athlete, Dwayne was immensely successful, winning domestic honours throughout his teens, and joining TeamGB in the Olympic Games, in Athens, in 2004. Thereafter for life an 'Olympian', he was attracted to a scheme founded in 2005 working with young people with a similar background to his own. ​The first of a series of case studies that reflect on the impact Met-Track has had on the many thousands of individuals it has engaged with over its 10-year history, begins with the man who was recruited to help run the scheme back in 2007. Jason Hussain was anything but an 'errant youth' engaged in anti-social behaviour or offending. He was training as an athlete, but lurching from one part-time job to another with no real career plan in place, and a CV that badly needed developing. He and the many coaches who have worked with the scheme represent the flip-side of the project's impact - providing a vehicle toward a positive and successful future for them too. Met-Track has a number of venues running sessions over the summer holiday period, these venues include Ealing, Redbridge and Westminster. Dan Bramble lead the way for Met-Track coaches competing at the UK Championships in Birmingham over the last weekend (July 3rd, 4th & 5th). Dan booked his place on the plane to the World Championships in Beijing by finishing second in the Long Jump behind Olympic, European & Commonwealth Champion Greg Rutherford. Met-Track has inspired a London detective to suspend his career and travel the globe, inspiring young people from Europe to Asia, Australia to South America, on the virtues of sport as a means toward a positive future. So impressed was Julian Seal with the virtues of the London-based scheme, he decided he wanted to spread the word to young people the world over, and has just returned from a two-and-a-half year trip he has aptly labelled 'Sports Trek'.